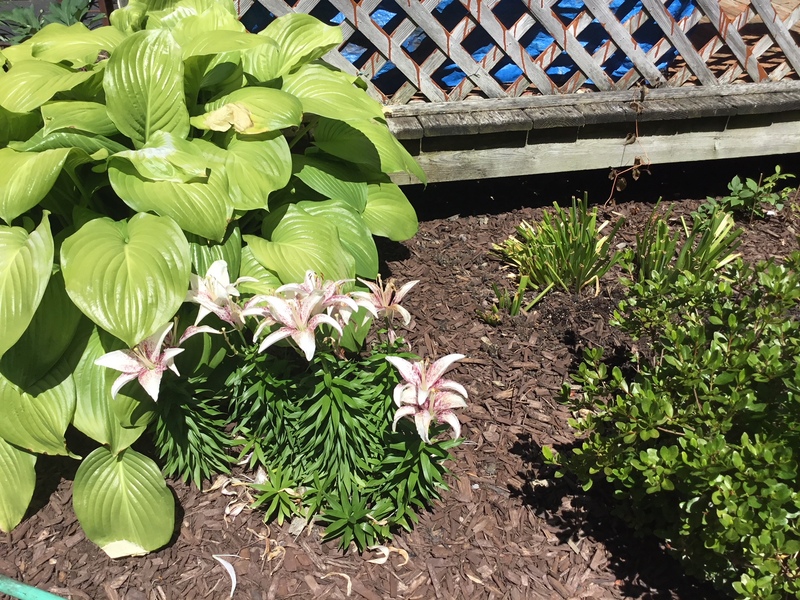 Lily season makes us happy in the backyard of A Bitty Better in the Liverpool neighborhood of Galeville. Did I mention that we’ve got red? No, shy is not a lily thing at all, Beth. Glad you have them in your yard! 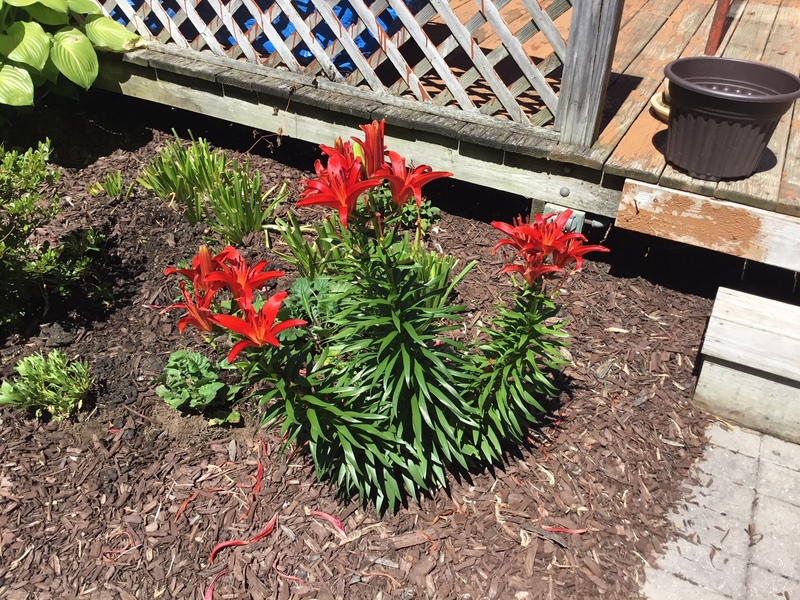 Lily season is upon us! Yours are quite beautiful! Thanks, Nance, I appreciate your flower eye! 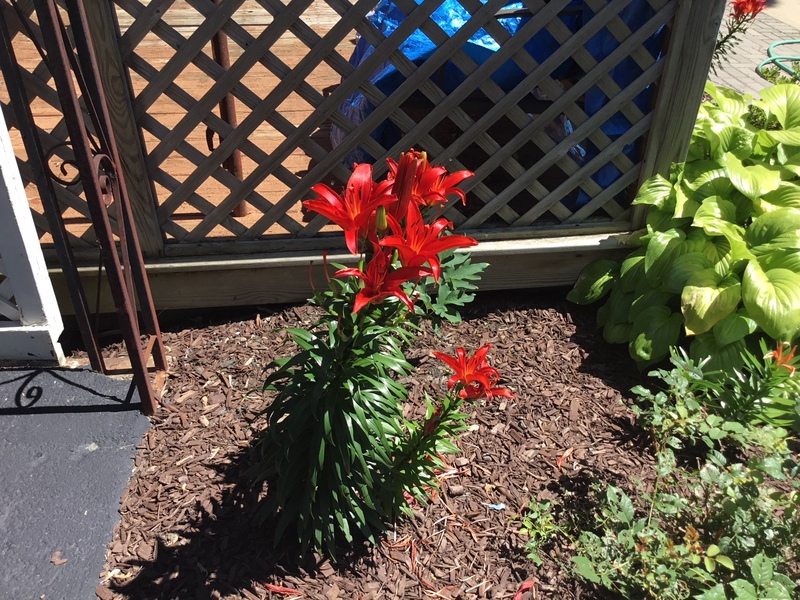 The lilys did great this year. I had orange. Orange are beautiful, MBC. We had orange back at The Little Bitty. I had NO idea it would get as big and as bright as it did. It lasted for weeks, until a storm took it out 😦 But it was glory in flower form. I think I’d like to get some white with the light pink, too. I’m admiring yours. Pretty in the green. They do make us smile, here and there, Joey. Yay for the lily.